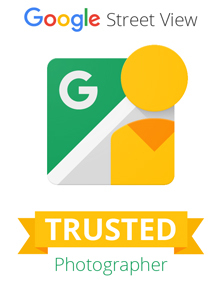 Have You Claimed Your Google Page? How to Embed Your Google Business Photo Tour Within Your Own Website. You are here: Home / How to Embed Your Google Business Photo Tour Within Your Own Website. 1. 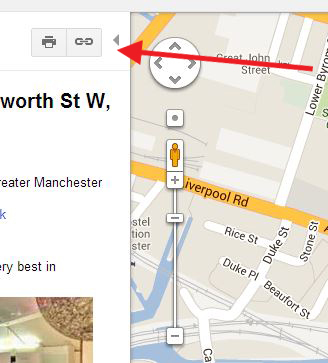 Go to your tour window in Google maps. 2. In the left hand corner you’ll see the print and link symbol. 3. Click on the link symbol. 4. In here you will find a URL to copy and paste to share in emails or Social Media. 5. And below this you have the code to ‘Paste HTML to embed in website’ simple! Your web designer can use this code to pull in the virtual tour from Google into your website. The beauty of this code is that wherever you wish to start the tour the code reflects this and bingo your tour starts there. For instance the tour on Google begins in the reception but you would like to show someone a feature in the showroom. By simply positioning the tour at the view you would like then by copying the code at that point you can share that view on an email or on your website. Use Street View technology to let your potential customers explore your location through a 360 degree virtual tour. Can Your Customers Find You Online? Our trained and certified photographer will come to your business and take a series of tour images throughout , starting from the exterior, working through the premises. LOCAL SEO – GET FOUND!